Southwest Airlines management apologized on Thursday (11/29/2018), after a mother claimed the airline's employees laughed at her daughter's name. Launching NBC News, Traci Redford will board a flight with his daughter named Abcde (pronounced Ab-city) from John Wayne airport in Orange County to El Paso, Texas, when the incident occurred. 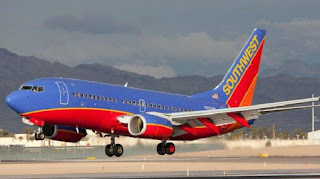 He said, Southwest Airlines staff at the gate were suspected of mocking the name of his five-year-old daughter. Not only that, employees are also called to take photos of their daughter's tickets and upload them on social media. "The gate staff started mocking my child's name, laughing, pointing at me and my child, and talking with other employees," he said. "Hey, I can hear you. If I can hear you, then my child can, too," he said when rebuking the employee. Redford said, even his daughter asked why the employee laughed at him. "I said, not everyone is good and not everyone will be good and that is very unfortunate," he said. In a statement to USA Today, Southwest Airlines management has followed up on the attitude of its staff. However, the company did not disclose the actions taken. "We send a sincere apology to the family," wrote the airline management. "The upload shows the ignorance, sense of humor, and courtesy that we expect from all of our employees," he added. BBC reported, Vocatif published an article in 2014 which showed there were 328 children in the United States named Abcde, based on data from the Social Security Administration agency. 0 Response to "His Child's Unique Name ABCDE Abused by AB-CITY By Airline Staff! This is the result"